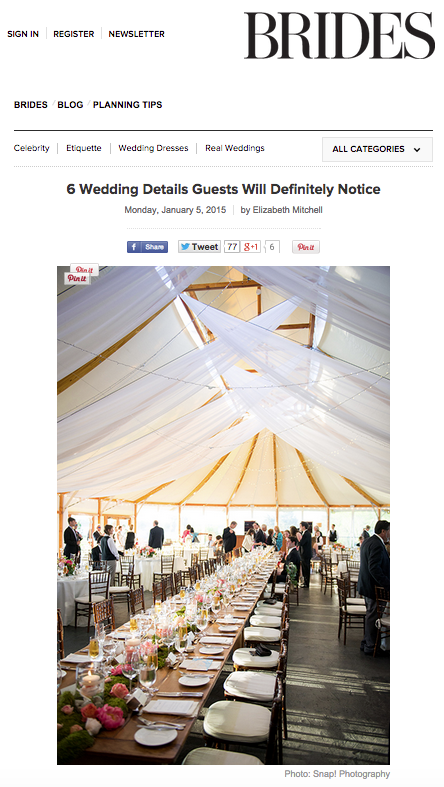 Today Brides.com published a continuation to their Wedding Details Your Guests Won’t Notice article called Wedding Details Your Guests Will DEFINITELY Notice. It was wonderful to be able to contribute my thoughts to both sides of the discussion. When you have a strict budget, there are some places where you can splurge where people will notice. Lighting is one of those! Something as simple as adding uplighting to your DJ package, can make all the difference.